Kitchen! Kitchen! 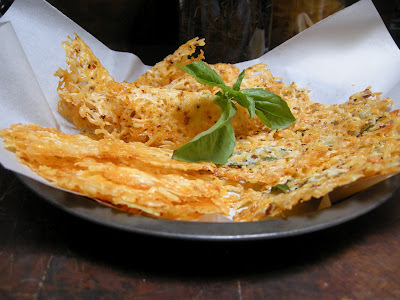 : a trio of cheese crisps goodness.....at kitchen! kitchen! a trio of cheese crisps goodness.....at kitchen! kitchen! & pepper flakes; and plain cheese crisps. A delightful pick me upper! the plain ones are left flat as well. lined with a non-stick mat or lined with parchment paper. 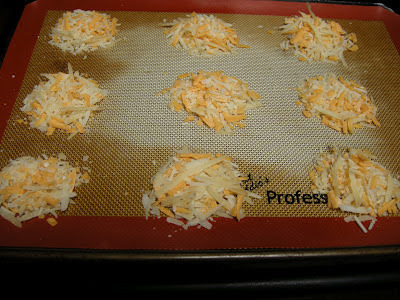 shredded swiss cheese, and cheddar cheese (just for a bit of color). 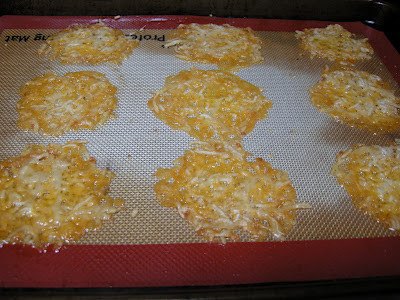 include parmessan or reggiano as your "hard" melting cheese. and let cool before scooping up slowly into a serving dish. length of the rolling pin while the crisps are still hot. Use a bench scraper to do this so you don't burn yourself. The crips will take the shape of a half curl of the pin while it cools. I always get into situation where I have a lot of bits and pieces of different cheeses that are either too odd a size and shape to slice. So what to do? I grate them and turn them into CHEESE CRISPS. Nothing goes to waste in this household. If you love cheese like we do, this is a good way of turning those leftover cheeses that's been sitting in the fridge for a while. You will be rewarded with a very delicious crisps for snacking. 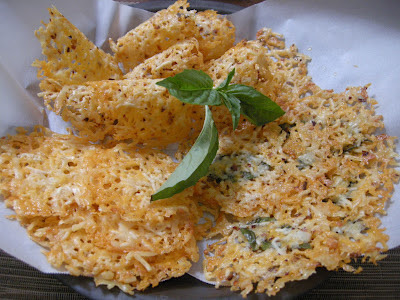 Great as appetizers too when you have company!